Jurisdictions across Washington State are facing an unprecedented increase in the number of unsheltered individuals and families. While continuing efforts focus on the development of long-term housing, little effort has been spent on developing standards and best management practices for communities to effectively regulate temporary encampments (in existing buildings, tents or tiny homes) and safe parking areas. 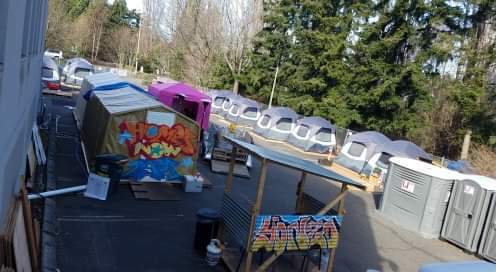 Although many Washington jurisdictions have adopted interim or permanent rules for temporary homeless encampments, most likely with the help of another jurisdiction’s rules, the effectiveness of these regulations is not clear, nor have best practices been established. As needed as they are, temporary encampments have frequently been subject to appeal by community members and business owners. Issues raised in these appeals are often related to public safety, with a significant emphasis on limiting the number of encampment residents as a means to lessen perceived impacts. However, a review adopted regulations does not indicate that there is a clear relationship between size and potential impacts. Setting maximums seems more based on having round numbers than on any empirical study or evidence. In adopting regulations, discussions often default to “that sounds too big” and an almost arbitrary reduction in the number of people proposed to be located at a site. The real issue seems to be the behaviors near the shelter and not the behavior of the residents who have been admitted to the encampments themselves. As such, standards other than caps need to be identified that work for the site and neighboring community. These could include ample space on the subject site and in the encampment itself for queuing and gathering, on-site supervision 24/7, a code of conduct, and other such measures. 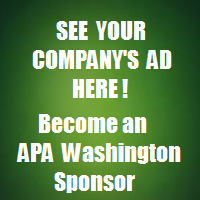 Washington APA believes the time is right to provide resources to planners on this issue. Please note: A request for AICP CM credits has been submitted. 1:45 - 3:30 pm Break out groups to work on ordinance and findings for temporary interim housing. Dr. Nabil Kamel earned a Ph.D. in urban and regional planning from UCLA where he was affiliated with the Institute of Transportation Studies, North American Integration and Development Center (NAID), the Lewis Center for Regional Policy Studies, the Anderson Forecast, and other leading research and policy centers. He taught at UCLA and ASU prior to joining WWU in 2015. Dr. Kamel’s academic interests address issues of social and environmental justice, uneven urban development, and urban informality. As a professional consultant, his areas of expertise include housing and community development, urban design, regional and international development, and long-term post-disaster recovery planning. Amy Buckler holds a Master in Public Administration from The Evergreen State College. Currently Amy is the Downtown Programs Manager with the City of Olympia. Her team is engaged in coordinating Olympia’s Downtown Strategy, implementing vibrancy projects, parking strategies and the City’s response to homelessness. Amy is currently staffing a process to develop a community-led homeless response plan, which will determine how the City along with regional partners will respond long-term to homelessness and its impacts. Amy believes in civic engagement and the value it brings to local governance. She is the former staff liaison to the Olympia Planning Commission and Parking & Business Improvement Area Board (made up of downtown business owners). Kayla Schott-Bresler is the Assistant Director of Skagit County Public Health. Previously, Kayla managed the Housing & Community Services programs for Skagit County, including oversight of homeless system design and funding. Prior to coming to Skagit County, she was the Policy Manager at the Housing Development Consortium, the lead affordable housing advocacy organization in King County. Kayla holds a Master’s degree in History from the University of Washington and a Bachelors from Occidental College. Sharon Lee is the founding (1991) Executive Director of the Low Income Housing Institute (LIHI), a non-profit organization based in Seattle. LIHI develops and operates housing for low-income and homeless people, and also provides a range of supportive service programs to assist tenants in maintaining stable housing and increasing self-sufficiency. Sharon oversees a staff of 140 engaged in housing development, management, advocacy and supportive services. LIHI staff has developed over 4,000 units of rental and homeownership housing in Washington State, including transitional, permanent, and housing first. LIHI owns over 1,800 units serving individuals, families, seniors, homeless people and those with special needs. LIHI operates 3 Urban Rest Stops to meet the hygiene needs of homeless people. LIHI is a leader in developing green affordable housing. Lee is Executive Editor of the statewide Housing Washington newsletter and is an advocate on issues of housing justice, housing preservation, and ending homelessness. She holds a Master of Architecture and a Master of City Planning from M.I.T. and a B.A. with honors from the University of Pennsylvania. LIHI’s housing has won numerous national and local awards for design excellence and environmental sustainability. Oskar Rey has practiced municipal law since 1995 and served as Assistant City Attorney for the City of Kirkland from 2005 to 2016, where he worked on a wide range of municipal topics, including land use, public records, and public works. Oskar is a life-long resident of Washington and graduated from the University of Washington School of Law in 1992. Becky has worked on housing policy issues for over 20 years both as a senior planner at the City of Woodinville, Snohomish County, and as Planning Director for the City of Lake Stevens. She co-led the creation of the Alliance for Housing Affordability, a consortium of Snohomish County, 11 cities, and the Housing Authority of Snohomish County to collaborate on housing issues. This year was the Alliance’s first year establishing a housing trust fund to provide contributions to affordable housing projects. Becky currently works for the City of Everett as the Housing and Community Development Program Manager facilitating the City’s Community Development Block Grant, HOME Investment Partnership funds, and Human Needs Grant funding for the Community. She also represents the City in several regional affordable housing and homelessness solution efforts. Lisa Pool, AICP, is a Senior Planner with the City of Bellingham. Lisa's 15-year planning career has included development review, design review, code changes and long-range planning at the city, county and regional levels. Most recently, she developed regulations for temporary shelters and processed the city’s first two temporary tent encampment permits under the new regulations. She’s also drafting new regulations for interim housing. She holds a Bachelor of Arts in environmental policy and a Master of Urban Planning, both from the University of Kansas in Lawrence, Kansas. Rick Sepler is currently the Planning and Community Development Director for the City of Bellingham, Washington. As Bellingham's Director, he supervises a staff of 45. Prior to joining Bellingham in November, 2015, he was the Community Services Director for the City of Port Townsend, Washington, a position he held for 8 years. Concurrent with his position as Planning Director for Bellingham, Mr. Sepler is also an Affiliate Faculty member of the Department of Urban Design and Planning at the University of Washington, where he has taught courses on comprehensive and site planning and subdivision design. Rick is the current President of the Washington Chapter of the American Planning Association. Providing the parking, AV / taping costs, supplies for the course.